Stephanie Powell Watts' debut novel is an twist on "Gatsby". In her debut novel “No One Is Coming To Save Us” (Ecco/2017) Stephanie Powell Watts tells the story of an African-American family living in small-town North Carolina. The book features a young man named J.J. Ferguson who returned to his hometown to impress his high school sweetheart. Watts channels the literary classic “The Great Gatsby” as well as her experiences growing up Lenoir, N.C. 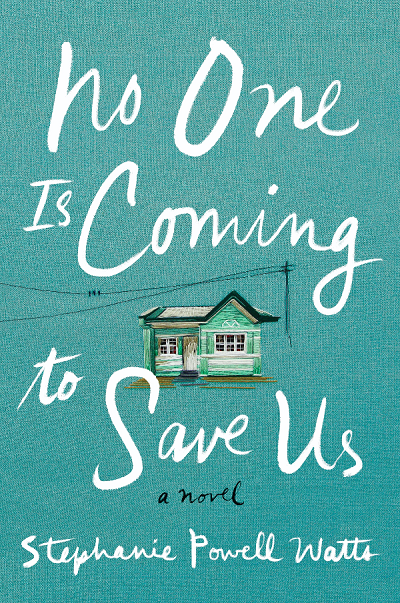 Host Frank Stasio talks with author Stephanie Powell Watts about her debut novel, "No One Is Coming To Save Us". Host Frank Stasio talked with Watts about growing up in a small town and reframing an F. Scott Fitzgerald’s iconic love story. Once I started writing it, I started thinking about how concerned I was about home. Where do you find home and how do you find it? That became kind of the theme for the characters that I was writing. I love in “Gatsby” that the characters are all striving and longing. I wanted that for my characters too. I really wanted to focus on the women and staying and what that means to be home for someone. We sometimes think of the adventurer, or the one who has the grit is the one who packs up, gets the family and moves to some other part of the United States. The Great Migration in the last century went on for decades. We look to those people as great adventurers and they were. They had incredible obstacles. But the ones who stayed behind are worthy of our attention and our focus. They were brave to do that—to imagine that the world was going to get better and that the place they called home, they could make it home if they just stayed there and worked hard enough to do that. They want the “American dream,” and they realize they are in the cheap seats of the “American dream,” but they still want it. I remember very fondly the Lenoir and Wilkesboro area where I grew up. I remember when the McDonald’s opened in Lenoir and what a huge deal that was. It was fantastic. People were lined up around the corner to go to McDonald’s. It was a special treat for us every Friday. We would go and have one of those little burgers. That was a big deal. Watts reads from her book Tuesday, April 11 at Quail Ridge Books in Raleigh at 7 p.m. and at The Regulator Bookshop in Durham Wednesday, April 12 at 7 p.m. and at Malaprop’s Bookstore in Asheville Thursday, April 13 at 7 p.m.